I absolutely love Mitsubachi (who was responsible for one of my all-time favourites Galene) and Momolita (who is one of the hosts for next year’s BlytheCon Japan). So when I heard that this was happening, I pre-ordered from JPGroove as soon as she was available. Being a Dolly Japan exclusive, and a collaboration between THREE artists, she was not a cheap release – clocking in at $149.95 at JPGroove, and $160.00 from Pullipstyle. However, boy is she worth it. 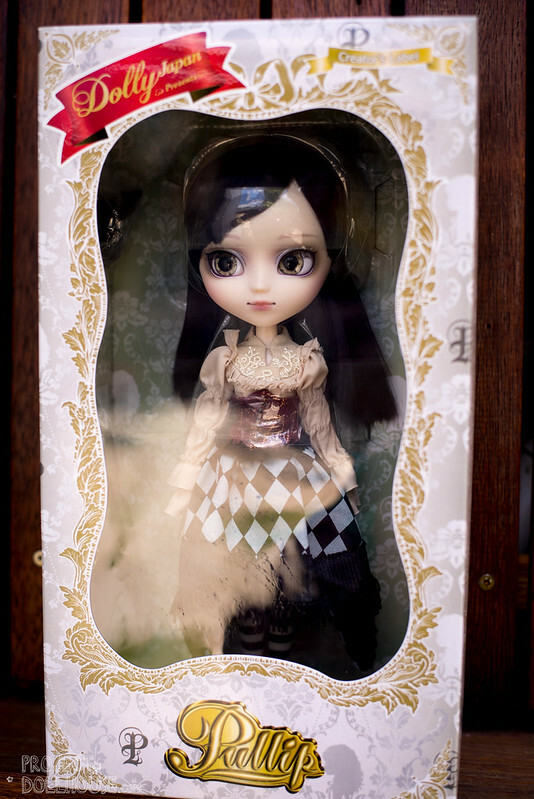 Alura comes in her gold and grey Creator’s Label box, and you can see her peeking out with her expressive eyes. In her box, she has two! outfits, black shoes, a hair ribbon, a golden stand, and her collector’s card. 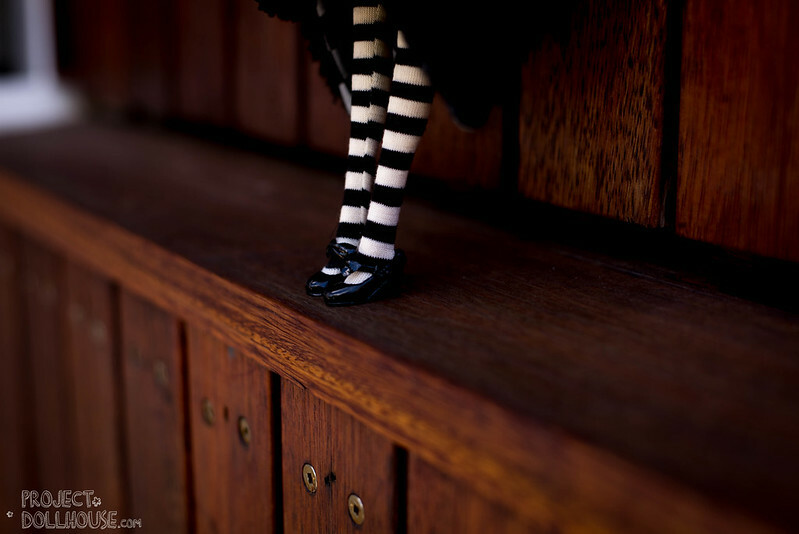 Her dress features striped stockings, a stiff fabric for her skirt with a checkered overlay and tassels around the edges, and two fur triangular flaps to her sides. She wears a cream blouse with ruffled sleeves, an embroidered bib with an oriental collar, and a blood-red bodice trimmed in tassels. 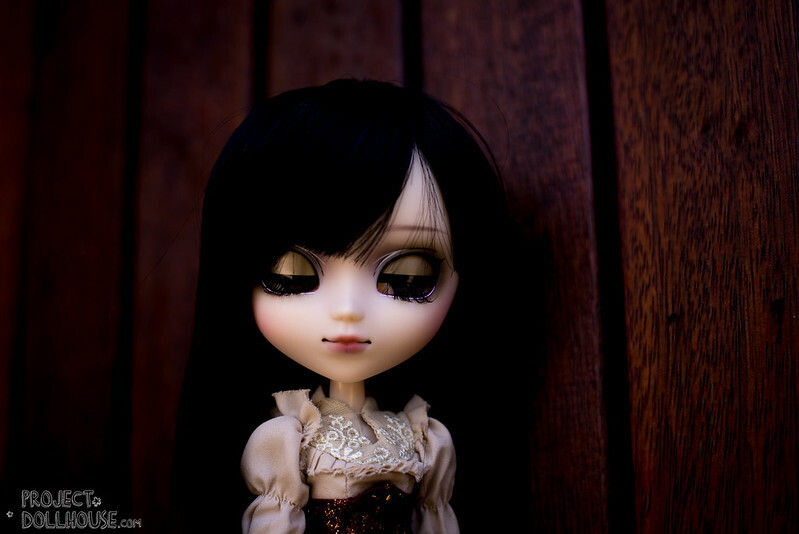 She has a gorgeous face-up that sort of resembles Seila’s and Galene’s. She has white liner around her eyes (making her eyes pop and seem larger), a cute little wing of black liner, pale purples, pinks and a pale khaki smoky eye. Galene also has a bit of green going on her, so it seems to be a recurring theme. Her lips are non-glossy, but seem like a little blush with the corners accentuated in black with little dark lines painted faintly on. Her eyebrows are a lady-like pale taupe. I think overall it’s a gorgeous face-up! (I’m just not a huge fan of of the black line in the middle of her bottom lip). 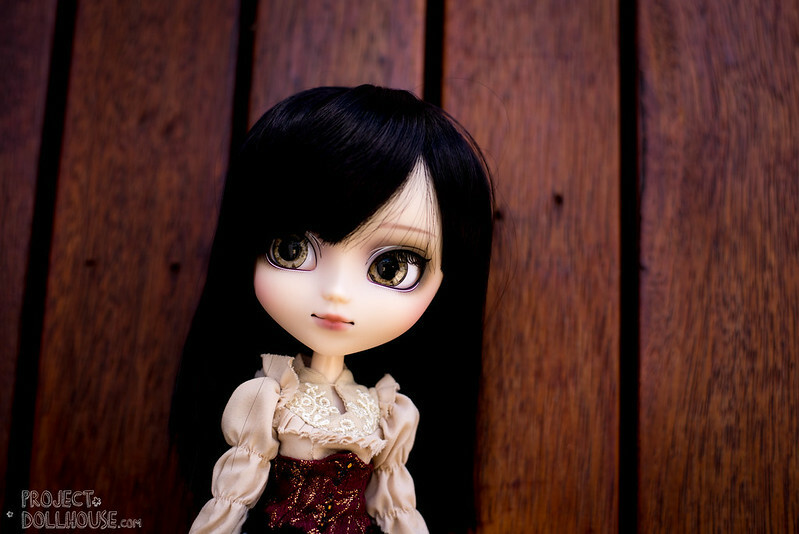 She has these stunning realistic eyechips in a golden colour – they remind me of Puppelina’s and Kirakira’s. The only downfall to them is that you can actually see the pixels in her eyes! I’ve been following on Facebook, with a lot of people saying that her hair came out horribly. My girl wasn’t too bad, and she only suffered from a little bit of bed hair in the form of a small kink at the back. I thought her hair would be a tad shorter (more bobby) and it is a medium-length black here. It is soft to the touch, and reminds me of the fibre on Sailor Mars. Look at how beautiful she is! Can you see the little golden details in her bodice? It’s so lovely. I honestly think she is one of the prettiest girlies that Groove has release this year! When she closes her eyes, you are greeted by wicked golden eyeshadow. I love it when Groove colours the lids. It’s like a secret surprise. Everything has been looked at in detail for this release- she even has a very pretty golden manicure. 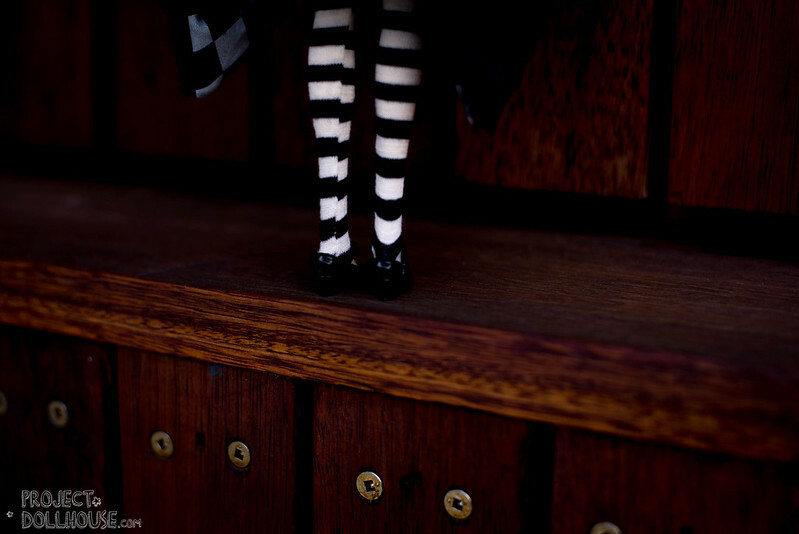 On top of her striped stockings, she has some gorgeous little mary-janes with little leather ribbons on the straps. Here’s a shot of the back of her little shoes! Here’s a detail of the back of her dress. You can see it is a tie-up affair for her bodice, and she has a reverse-mullet hairstyle. Short at the back and a party at the front! 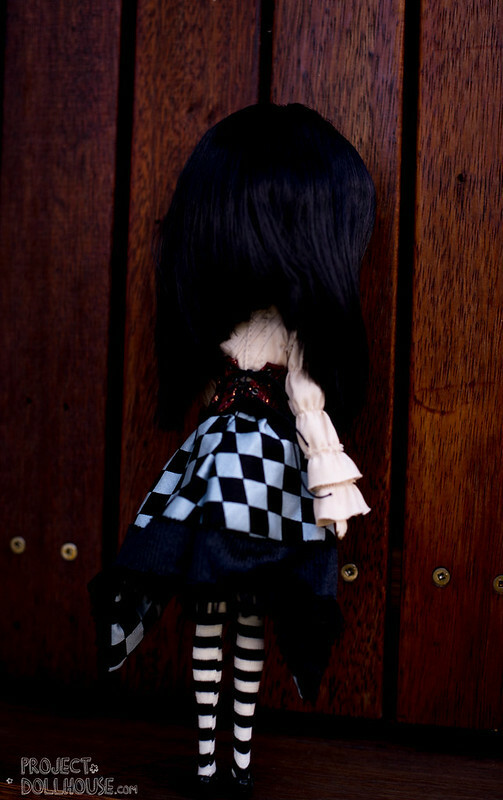 One of the most exciting things about this release is her second outfit (also by Momolita). It features a lovely black bow, and this well-fitted dress. I’ve borrowed my gorgeous Toffee to model the outfit, and Toffee is on a Obitsu body (look at how much taller she is than Alura!) and it barely fits over her body. 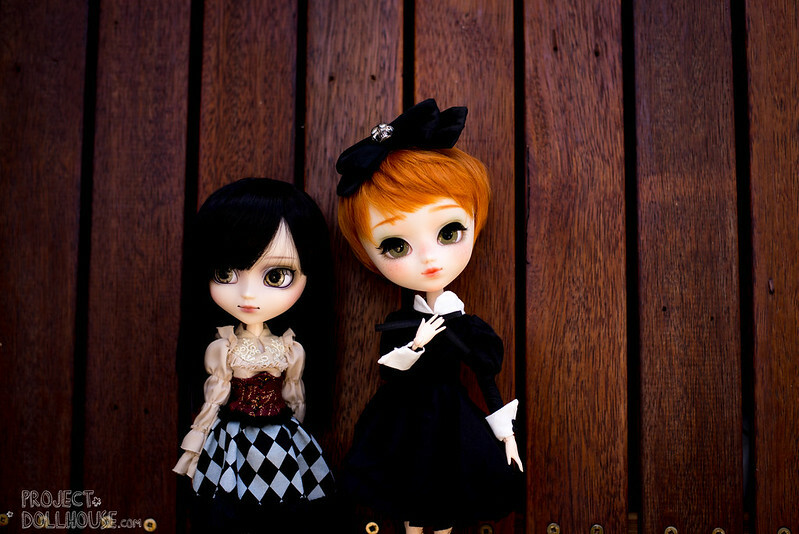 The Pullip Type 4 is a very small body type, and it’s a shame their gorgeous clothes can’t fit on more dolls! I am totally in love with this release. I wasn’t a fan of Laura’s red-braided hair, but I think that Alura is so chic. 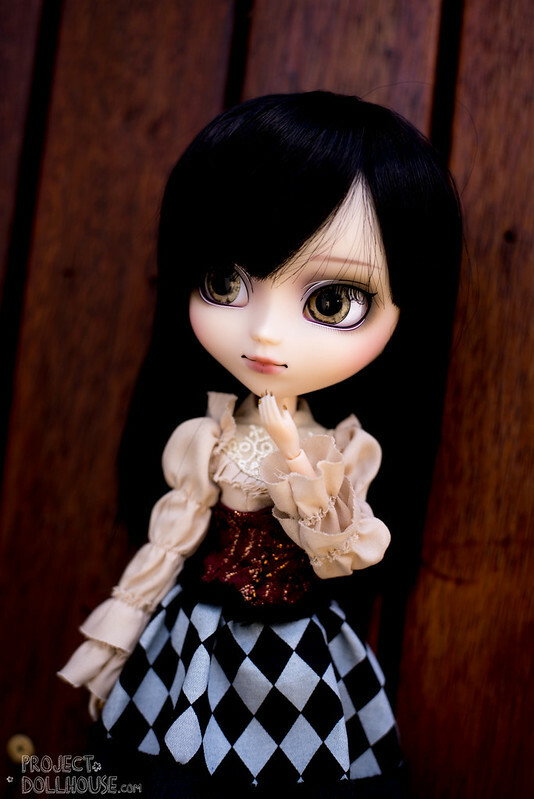 I also think that her face-up is really flexible and she’d look great in a whole bunch of outfits. The wig I got is soft and manageable, but this seems to be a hit-and miss. 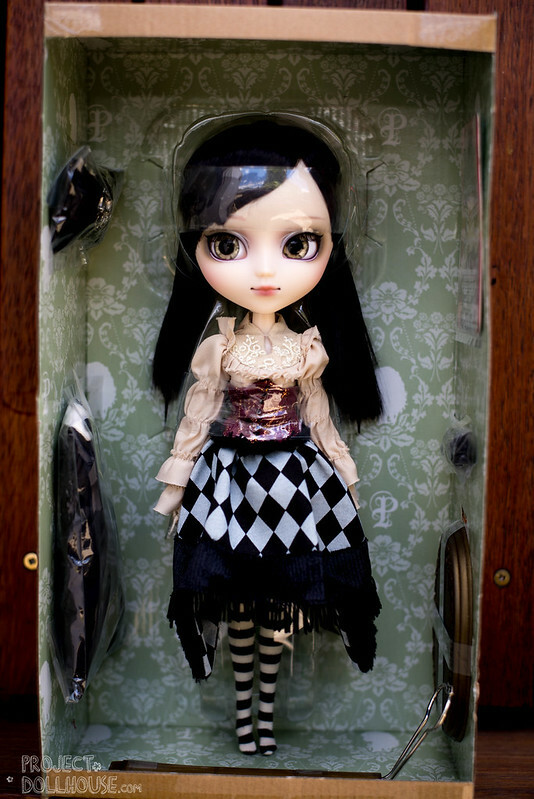 Alura, originally only available for pre-order through JPGroove, has found her way to PullipStyle. Being a limited edition, I’m not sure how many of her are available – and if you could, I do recommend you getting your hands on her – because she’s just beautiful. So many tiny details. Also, I like that her hair is straight and black – I’m not sure, are there a lot of releases with this color and style hair? ^^ and the extra outfit is so nice! 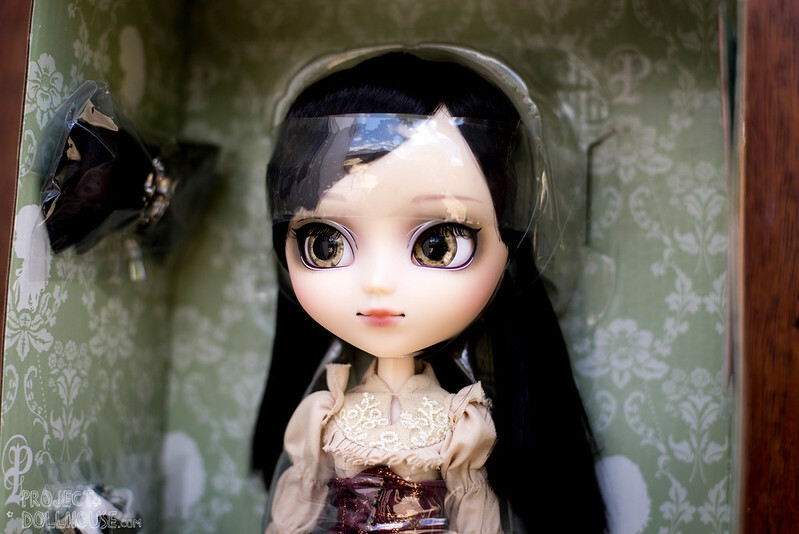 Blythe needs to come with more stock. Congrats! She really is beautiful…myｓterious looking young lady.You’re lucky that the one you got doesn’t have much kinks in her hair. 3 out of the 3 youtube reviews I’ve seen of her really has dissapointing wig conditions (although the owners didn’t mind it that much) when all Groove has to do is just cut her hair evenly and pack it neatly. Lately the prices of this new releases are so high, collectors like me are really having a hard time making choices. I did want Alura but when they released Naoko’s promo pics I had to make a choice between the two, and since I’m more into colorful, cheerful looking chic girls I chose the latter. So my Galene is still the only serious looking girl I own. Together with my Tokidoki girls, Akemi, Angelique Pretty girls she really does look a little lost but she is gorgeous and I love her no less.Thanks for this in depth review and looking forward to more from you and your creations. I hope you do Heiwa next! When she was first released I wanted her so badly, but I live in the UK and the shipping from JP Groove is too expensive for me. 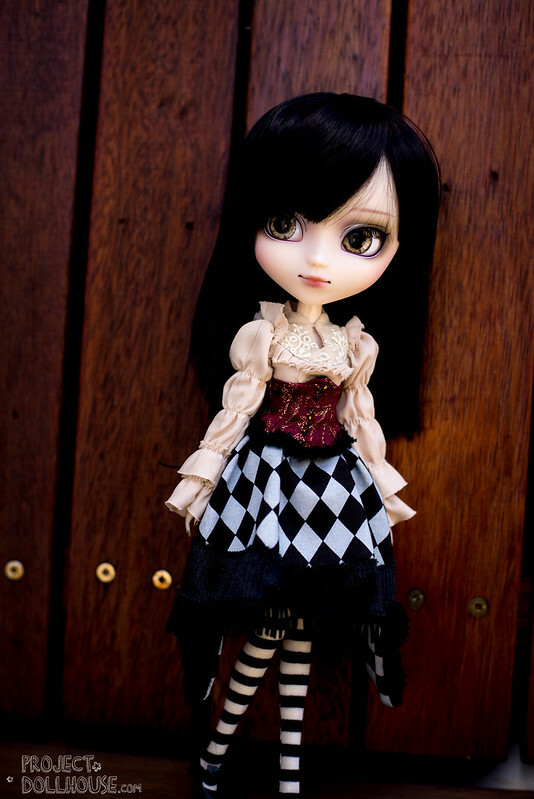 She was sold out at Pullipstyle so quickly that I didn’t have the chance to order her. I thought I had lost this beauty forever. And now…surprise… she is back in stock at Pullisptyle. I ordered her as soon as I had money in my account and now she is on her way to me. Those eyes are so realistic that you can see her soul behind them. And I have no words to tell you how much I love that crazy magician’s outfit. The photos you took bring out the stunning beauty in her eyes. Thank you reviewing her!